Some things that occur are hard to stomach. One of those many things, is the stingy rich person. I am not talking about someone who has a few thousand pounds but those who have hundreds and sometimes Billions of pounds are not willing to pay their zakah! They would rather by a flash car then give some charity. Why do Muslim businessmen not pay their zakah? They would rather rip off hard working people of their wealth, than pay them their rights. How wretched some people are! Such people will be resurrected in the troop of the oppressors in the anger of Allah (the Exalted). "Those who horde silver and gold, and do not spend it in the path of Allah; give them glad tidings of a painful punishment." This passage is very clear. The excessive wealth of the rich is to be spent in the path of Allah (the Exalted). Not on putting it away in a Swiss bank account or buying a football club! Their money is what they cling to and they will lie, cheat and steal for it. They see nothing wrong with that at all. I do have a go at committee members of masjids because of their lack of vision and the fact they do not do what they should but the wealthy have a share of the blame. Read this passage again. They are hording their wealth which is more dear to them than serving Allah (the Exalted). What a wretched state to be in! Your wealth could be spent making a masjid in the correct manner and serving a community. We have many rich Muslims who could put a small amount towards education institutes, but they do not. What good is your wealth going to do on the Day of Judgment? You cannot buy your way into heaven? So what are you saving it for? Your kids? They do not need millions but you need some good actions! "Say: if your parents, your children, your brethren, your partners, your clans, the wealth you horde, the trade you fear will slacken, homes that please you are more beloved to you than Allah and His Messenger, struggling in His path; then await the command of Allah; Allah does not guide the wrongdoing people." This passage clearly states those people who prefer people or wealth over striving in the path of Allah (the Exalted) are wrongdoers/Fasiq. Fasiq is he who does wrong openly so that people know. If you are like this then donate your extra charity (not zakah) to an educational institute even if it is anonymously. Alternatively, to someone who is genuinely serving the communities and not to masjids, zakah is not allowed for masjids to take or ask for. Arrogantly hanging onto your wealth means you have already lost it without gaining anything. Poverty and wealth is a state of the heart. If a rich man is in need then he is poor and if a poor man has no desire for the world then he is rich. The Messenger of Allah (may Allah bestow peace and blessings upon him) said, "Traders are notoriously unscrupulous." They asked, "O Messenger of Allah, even if they trade in what Allah has made lawful?" He said, "Yes, because they speak to lie, they take oaths and commit sins." Rafaiah ibn Rafiah (may Allah be pleased with him) reports that the Messenger of Allah (may Allah bestow peace and blessings upon him) said, "Traders are resurrected on the day of judgement with the unrighteous, except those who fear Allah: the pious and the truthful." Reported by Al-Tirmdhi 1210, Al-Dayrami 2/247, Ibn Majah 2146, Ibn Hibban 11/276. That should be enough to scare you into action. The Prophet (may Allah bestow peace and blessings upon him) was a honest businessman/trader par excellence. He never cheated anyone, ever in his life, not even once. He knew the manners of tradesmen because he worked in that field. How many oil billionaires do we have who do not pay their zakah? Often these people are punished by an increase in wealth so that they have more to account for. One of the most ashamed things that occurs in oil rich middle eastern states is the modern slavery of migrant workers. Their eyes are dazzled by adverts of a work and a better life, so they go with hopes that are stolen with their passports, as soon as they arrive. They have no rights, except to work all day, sleep on concrete, to build empty buildings for the rich. How far are they from justice? Do they not fear the day of judgement? They could pay them a fantastic wage and keep their promises instead they are great lairs. not to mention the harm that is given to maids and so forth. This is an extremely distressing and upsetting part of these worthless rich men who do such things. I ask the question. Why aren't the councils of their countries giving them passports to return home? Get yourself out of this state before you die and your wealth adds up to nothing. Are not the two passages enough for you to wake up? The day of judgement is when the tables are turned and the real wealth of sincere good actions become wealth. Moreover, wealth will mean nothing like airborne sand that flies past you and adds up to nothing. Why are these oil rich companies not bothered about helping poor people? You have a responsibility to put your hand into the pocket and spend that money that Allah (the Exalted) has given you. If you none of the Quranic passages and hadith have had any affect on you then I give you glad tidings of a painful punishment in the afterlife. Give your money to charity and do not follow it with harm because they you lose it all. The reward is gone when you follow up charity with harm and so many people do that. Give charity and forget about the amount! Companies who give charity are given discounts on their tax! Yet you still do not want to give! Do something with your money before your life is over, mr Billionaire! The first university in world history (9th Cent) was founded by Fatima Al-Fihri in Fez. She had excessive wealth and spent it in the path of Allah (the Exalted). By founding a university that still runs until today. May Allah give her many blessings! If you are wealthy person who is serving his community and paying charity (I do not think you exist) I would like to hear from you. Even if its just to prove me wrong but the hadith is clear. "Traders are notoriously unscrupulous." Shaykh Abdul Aziz Fredericks from Det Yttersta Trädet on Vimeo. Shaykh AbdulAziz Fredericks - "Talk on Waridaat & Wird" from Det Yttersta Trädet on Vimeo. The Second Session from Sheykh Abdul Aziz Fredericks. Shaykh AbdulAziz Fredericks - "Talk on Al-Hikm" from Det Yttersta Trädet on Vimeo. This subject has been something that I have been pondering over for a while. I started to wonder what were the men misunderstanding? Why do men treat women so badly? After reading this you should have no doubt that those 'men' who treat women badly are going against the founder who they claim to follow! So what should we do in these moments of darkness? Look to the light that was left for us by the blessed Prophet ﷺ because there is no better exemplar he (may Allah bestow peace and blessings upon him). "The best of you are the best to their families, and I am the best of you to my family." (Al-Tirmidhi 3895). "The best of you are the best to their families. I am the best to my family. No one but an honourable man honours women and no one humiliates them except the vile." Ibn Majah reports a similar hadith. Abdullah ibn Umar reports that the Messenger of Allah (may Allah bestow peace and blessings upon him) said, "The best of you are the best to their womenfolk." "The most complete believer in faith has excellent character. The best of you are those who are the best to their womenfolk." These hadiths have similar words yet they all hold the same meaning. The best people are those who treat their women the best. Honouring women is Sunnah and opposite is not part of the character of whom we claim to follow. If a man wants to build his treatment of women then let him build it upon honouring women. Every woman is someone's daughter, mother or sister. When you harm one, you harm one or more of these groups. If you harm a woman then be prepared to be exposed for your vileness, on the day of judgement. In the Shafi and Hanbali schools, when a man touches an unrelated female, even accidentally, it breaks his ablution/wudu. It does not in the Hanafi school. I am not sure about the Maliki School. Therefore, a large amount of scholars say, you cannot even touch a woman that you have no direct relation. Meaning a woman who is not related to the man by coming from the same immediate family or related by marriage or offspring. Even if a man touches his wife, in the Shafi School, it breaks his ablution. The above is an accidental touch without desire and of course touching an unrelated woman with desire is unlawful. Anything beyond that is also unlawful. This should be sufficient for you to realise that you should not be looking or touching any woman who is not related to you. Brothers need to be aware that lowering our gaze has more importance now than ever because of the media. Forty hadith about lowering gaze can be viewed by clicking here. An immoral society is more profitable than a moral one. Jarir Ibn Abdullah (may Allah be pleased with him) narrates that, “I asked the Messenger of Allah (may Allah bestow peace and blessings upon him) was asked about the sudden glance. So he ordered me to avert my gaze.” Muslim. Abu Dawood reports, "Avert your gaze." Is this hadith enough? This counts for all women regardless of their background! So how was the Prophet ﷺ with women? He ﷺ was natural, respectful, attentive and gentle. He ﷺ listened to their needs and helped them. He ﷺ did not scream 'WOMAN' and run away like some of you. He ﷺ spoke with respect, kindness and softness. He ﷺ never made a woman feel uncomfortable or ashamed or intimidated by his presence. How many men make women feel small? Why do they lie so much to them? If you do this then you are as close to the practice of the Prophet ﷺ as Australia is to England! The other side of the world, not even close! How many brothers respect their mother alone but treat other women badly. What about the ones who are not from your family? Then wrongly try to justify it by saying its okay because my family will never find out. You are in big trouble because you cannot have your girlfriend outside and a wife at home. Come home and pretend that your wife does not exist. Your wife might not be your choice and you may have been coerced into the marriage. However, you have children now and they are your responsibility. If you mistreat the mother, the children see that and sometimes the mother takes it out on the children. Most children who fight at school are doing that because people fight at home. You have no right to walk out on them and leave them. You have to make the best of it now. Do not tell me you sleep in separate beds but you have two kids! Mothers should teach their sons to respect all women and not just them. Mothers who allow their sons to harm women and do not scold their children, need to know they are as guilty as their sons. Divorce is only an option when there is nothing else left. You have exhausted all other options or there is abuse that does not cease. "Sit in any path of the city of your choosing and I will sit (help) with you." Why is this significant? Because the female companion had mental problems as one of the commentators mention. Yet, this did not stop the Prophet ﷺ from helping her. Look how people treat those with mental problems now? Yet, this period of history humanity was in the dark ages. Then a light from Medinah shined as an example for humanity, the Prophet Muhammad (may Allah bestow peace and blessings upon him). One of his ﷺ wives struggled to get onto a camel because of her size and the blessed Prophet ﷺ would allow her to put her feet on his knees, in order to climb onto the camel. That's respect that does not exist with many men. It was of the nature of the Prophet (may Allah bestow peace and blessings upon him) to give whatever they had. We have spoken before about the treatment of women so view that by clicking here. “The Messenger of Allah (may Allah bestow peace and blessings upon him) was not obscene, offensive, he did not scream in the markets, he did not repay evil with evil, but he forgave and pardoned, he never beat anyone with his hand except when struggling in the path of Allah. He never beat a servant or a woman. He would begin with the right side for purification, the feet when making a journey, when putting the shoes on. He accepted gifts and wore them. He did not speak like you speak rather he spoke slowly (with gaps) so that those sitting with him could memorise them.” Al-Tirmidhi in Shammail 175. Al-Tirmidhi 2016. Is this not strange that he (may Allah bestow peace and blessings upon him) never beat a woman? It is not strange at all, it is the truth, he (may Allah bestow peace and blessings upon him) never beat a woman, ever. Hang on what about the ayah, "Beat them."? There is no person who understood that Quran better than the Prophet (may Allah bestow peace and blessings upon him), right? Yet he did not beat any of the women of his house ever. So what does it mean? It means admonition not beat, in accordance to thirteen Quranic commentators. So that cannot be ignored! Only an ignoramus beats his wife up and uses the book of peace to unjustly justify his vileness. Another point here, he (may Allah bestow peace and blessings upon him) did not beat servants. This must have been commonplace at the time and this is why his (may Allah bestow peace and blessings upon him) wife is mentioning it here. Wives know their husbands better than anyone else. This is not the only time that one his wives have given a great testimony about him (may Allah bestow peace and blessings upon him). Do not forget the testimony of Khadijah (may Allah be pleased with her) when revelation came. He (Messenger of Allah (may Allah bestow peace and blessings upon him)) was asked, "What are the rights of a women over her man (husband)?" He replied, "Feed her when you eat, clothe her when you clothe yourself, do not be harmful to her face, do not strike her except a strike that does not bruise and do not leave her except in the house." Abu Dawood, Al-Nisa'i in Al-Kubra and Ibn Majah. Do not 'leave her except in house' means do not leave the woman alone for extended periods of time. "Do not harm the face and do not strike." This is the hadith that explains that women cannot be struck except that which does not bruise. Everyone knows that women bruise easily and it does not take much. So it means you cannot strike a woman without bruising her. This hadith is the commentary about 'beat them' in the Quran. Only insane men misunderstand it to mean beat their wives. Let us get one thing straight that the Prophet (may Allah bestow peace and blessings upon him) never beat any of his wives, ever. So if the ayah meant 'beat' then that would mean that there was a Quranic passage that was not practiced, which is impossible for the Prophet (may Allah bestow peace and blessings upon him). So what does it mean? It means give admonition. I hope that I have made it clear that beating a wife is a crime and if you do it then expect punishment in the world and afterlife. Also look at the hadith you see that the Prophet (may Allah bestow peace and blessings upon him) was illustrating to the questioner that he should treat his wife like he treats himself. Muslim reports in his authentic collection from Jabir ibn Abdullah (may Allah be pleased with him) reports that the Messenger of Allah (may Allah bestow peace and blessings upon him) said, "Fear Allah in your treatment of women." Does that finally clarify it? "Men are responsible for the welfare and guardianship of women in all aspects." (Quran Nisa 4:34). The Quranic verse above explains a lot to us and we will delve into them now. First, let us look at the possible translations of this passage. We have the following possibilities: men are the maintainers of women, men are in charge of women, men are the protectors and maintainers of women, men are the caretakers of women, men are guardians of women, are all valid possibilities. Although this highlights the difficulty in translating the Quran because taking one meaning is not sufficient to explain what the Arabic contains. The Arabic word qawwam is an intensive form not just meaning responsible but even more responsibility than that. I must admit that my limited English might not be able to explain that totally. The possible translation for this verse might be: "Men are responsible for the welfare and guardianship of women in all aspects." (Quran Nisa 4:34). Do you see how one word has so much meaning and that this whole text could discuss the different meanings of that one word. The depth of the Quran is intense. "Men are the maintainers of women," men are those people who found their women upon upbringing in manners, take from their hands, from that which is necessary for the sake of Allah and themselves. "From the virtues that Allah has placed upon one over the other," meaning the virtue that Allah has given men for their wives from their bridal price and bridal gift, spending their wealth upon them, and sufficing them from provisions. This is the virtues that Allah has given the men over the women and therefore it became maintenance. They are given this matter over them because Allah placed them to take care of this matter." The father is responsible for all his children and especially his daughters. This passage has no time placed on it. The father's responsibility for the daughter finishes upon the father's death, not when she gets married! Then if the woman is married then her husband. If she is not married in this order: father, brother, grandfather or another male relative. In some cultures, it could be argued that the woman is more than capable to look after herself. Some women actually are better at being responsible than many men. You could also say that women are the maintainers of men! This is something that mother in laws should bear in mind too. When her son gets married to his wife, he is bringing a daughter into the home. Not a daughter in law but a daughter. This is also where we find all the rights the wife has in marriage. The right to: housing, food, clothing and care. The woman has more rights, in a marriage, than a man! This hadith explains to us that a woman can take from her husband's wealth that which suffices her and her children. The wife has a right to expenditure for food etc but that does not give her the ability to steal money more than her needs. It has to be for basics and nothing more like an ipad! The Messenger of Allah (may Allah bestow peace and blessings upon him) said, "Do not dislike daughters because they are the most valuable companions." Reported by Imam Ahmed and Al-Tabarani. This hadith also indicates how important daughters are to parents. You could ask, what about the sons? Well, most cultures exalt their sons and belittle their daughters. What the sons do is always gold and whatever the daughter does, is always soil. Even if the daughter is the one who works and puts bread on the table. This is also a point to mothers in law. Your daughter in law is someone's daughter and should be treated with the respect and kindness that you treat your own daughter. 'Dislike' is mentioned but nothing more is also allowed like actual harm. The least dislike is not allowed never mind anything more or worse. The following hadith is of interest to married men. He (may Allah bestow peace and blessings upon him) said, "Not one of you should go to his wife like an animal befalls an animal; let there be a message between you." They asked, "O Messenger of Allah, what is the message?" He replied, "Kiss and speech." (Al-Daylami). This is an important speech for married men. Rather than fall upon their wives like a ton of bricks, speak but what kind of speech? Beautiful speech that praises them, as well as the husband telling them how much they love them. Why, because women love to hear that from their husbands. That is a massive lesson for the blokes, please pick it up! As well the kiss because many women regard the kiss of paramount importance. So here these two important facts are highlighted and these are two things that excite the woman that can be done by her husband. Disclaimer, you cannot do this with other than your wedding partner! The Messenger of Allah (may Allah bestow peace and blessings upon him) said, "Be good to women because they are created from rib, its uppermost is curved, if you move to straighten it then it will break, if you leave it then it will remain curved; so be good to women." Al-Bukhari. Women were created from the rib of Adam (upon him peace). But this is not an excuse to say women are bent! Because the man would be more bent because he has seven parts of the rib and the woman has one! Rather look at the words. Goodness can change someone but harshness towards a woman will break her. Abuse and harshness breaks a woman but at the same time to train her towards nobleness is good but with kindness, not abuse. Women do change after marriage and that is generally the case, unless she is Ms Rambo. So you have to change now! Look at what the woman gives up for her husband. She leaves her childhood home to and takes up a life of looking after you and your children. Without so much as a thank from you, most of the time. Imam Ahmed, Al-Nisai and Al-Hakim. Why are women mentioned here? The problem is when we try to understand within a modern context. So let's put this into the correct context so we can understand this properly. The Prophet (may Allah bestow peace and blessings upon him) was brought up by women mostly. 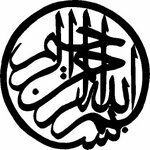 He (may Allah bestow peace and blessings upon him) was brought into this world by his blessed mother Aminah (upon her mercy). Then his wet nurse was Halimah and then after returning to his mother. She passed away and then he lived with Abu Talib whose wife Fatimah was like a mother to him. So for this reason he (may Allah bestow peace and blessings upon him) loved the trait that all good mothers possess, mercy. He (may Allah bestow peace and blessings upon him) saw great examples of the mercy of the mothers in his formative years. This is not about other issues that people might think. Mercy was the great characteristic of the Prophet (may Allah bestow peace and blessings upon him) because he was a mercy to the universe. There was an incident that causes some problems in the household of the Prophet (may Allah bestow peace and blessings upon him). Rather than react harshly or in an unbecoming manner. He (may Allah bestow peace and blessings upon him) took a step back and examined the situation. After a while, there was peace but these things occurred so we know what to do. Take a step back, seek advice but most of all be kind. Look at the statements of his (may Allah bestow peace and blessings upon him) wife Umm Salamah (may Allah be pleased with her) who said that he never hit a woman, slave or child. Why was this significant? Because it occurred in that time and thus illustrated what a noble character, he has (may Allah bestow peace and blessings upon him). (may Allah bestow peace and blessings upon him) and was putting it into practice. Now that you have digested all this information, it is time to agree to something. It is time to agree that humankind has a lot to answer for on the Day of Judgment, when it comes to the treatment of the women in their lives. I find it strange that people are digging their own graves when they mistreat the women they come into contact with. You have no excuse because you have the Prophet (may Allah bestow peace and blessings upon him) as the ultimate example. Yet you have chosen to follow the worst example of the worst of humanity by beating and harming your wives. The harm you have caused women outside the home, with your girlfriend out on the town, with your wife at home cleaning your dirty clothes. You all have a lot to answer for. It makes me ashamed to be a man when I read such revolting behaviour that such men give women. We need to improve and all we need to do is look at the example of the Prophet (may Allah bestow peace and blessings upon him) and realise that is what we are missing in our character. “Prayer and what your hands possess.” He continued to say it until his tongue ceased. These are the final words of the Messenger of Allah (may Allah bestow peace and blessings upon him). What would your final words to be to your people? Would it not be the most important thing for them? Would it not be out of concern for them? What does right hands possess mean? Its symbolism for women. So the final words before the best of creation left the world was to maintain our prayers and take care of our women. I hope that this is making sense and that you finally see what I do. That you as a father, husband, grandfather, male in laws, brother or son; have a massive responsibility towards your womenfolk. Do not oppress them or make them fear. Rather to help and support them in whatever they need. This is not only about your women folk but you have to be kind to other women too. Its the Sunnah (practice) of the Prophet (may Allah bestow peace and blessings be upon him) to be good to women. Or is this mere lip service without any practice?